Hello there, long time no see. You’ll have to bear with me on this one, its my first tutorial and I’m still learning it myself so there may be a mistake or 2, but I’m sure my testers will correct any fault before I publish. Ever wanted to play those amazing android games in a console way with a proper control pad but don’t know which of the many pads to buy? I know I have, and that’s exactly why I’m here… To the real nerds amongst us, I call this “recycling”. 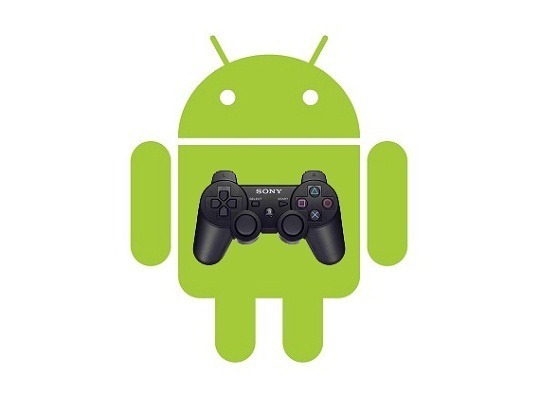 Basically what I’m going to help you with is using a PS3 control pad with your android device….like I said, recycling. An android device with root, a spare ps3 control pad, sixaxis compatibility checker (free from play store), sixaxis controller app (again from play store but only if compatible), a Windows PC, about 30 mins and a drink of your choice (not essential but helpful). If you get the success message, its time to find a PS3 control pad. I’d recommend using a genuine Sony pad as the aftermarket ones don’t seem to work as well. Also unless you own a ps3, buy a pre owned pad. There’s a funny problem with brand new pads that haven’t been connected to a ps3, so get a used pad or connect a new one to your ps3 first before going to the next step. Download sixaxis pair tool from the website and install it on your computer. Connect your ps3 control pad to your pc and wait for it to install drivers. In the sixaxis pair tool program, you should see an address such as AB:12:CD:34:EF and an empty box below it. Open the sixaxis compatibility app on your device and look in the lower left corner. You should see a similar address if your device is compatible. Enter the address of your device into the empty box on your computer and press change. The address should change to the one you entered. Back to the app, press pair controller. You should see a small message in the area below saying device connected. Press a few buttons on the pad to check its working. If all is working, you’ll need the sixaxis controller app. Same again just press start, then pair controller. This is where it gets a little harder. We need to set up some profiles for the games you want to play. Tip: open the game you want to play and take a screen shot of the game UI, you’ll need this to make setting the profiles easier. For this example, I’ll use Shadowgun. Open up sixaxis controller app and pair your controller. Press the menu button and head to preferences, then touch emulation. Open up edit touch profiles and you should be greeted with a very dull gray screen as shown below. Looks a bit boring doesn’t it…. let’s add some colour. Double tap and select Change Background. Select your game screenshot. You may need to double tap again and edit background to rotate the screenshot. Let’s add some buttons. 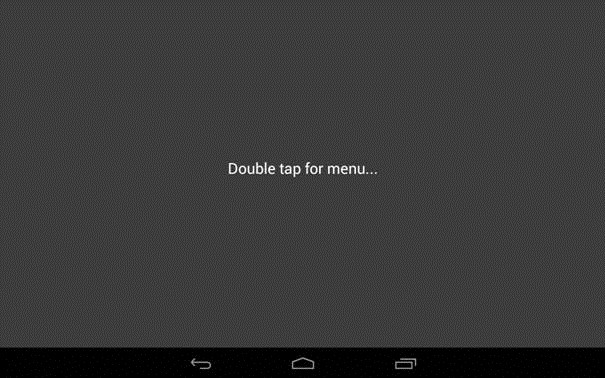 Double tap again and select Add Button. Choose whatever button you want to use. In my example, I chose R2. Now simply drag the button over the area on your screenshot you want to use. Here, my R2 button was placed over the shoot button, a great place I think. Repeat the process for all the buttons you want and place them where ever you need them. Save your profile and go back to the main menu. Now enable your newly created profile from the dropdown menu. You’ll need to enable sixaxis IME, so press change ime and choose sixaxis. Play time! Open up your game and give it a try. You can edit your profile if it doesn’t quite work the way you planned. Mess around a bit and see what works. I’ll be honest I’m still finding new things and changing my profiles on a regular basis just to squeeze that little bit more out of the games. Want to know a fun secret? Connect your compatible device to your TV and play games from the sofa on your TV…. 50 inch Dead Trigger anybody? Madfinger would be proud! Also, check out this awesome idea. Great huh? you can find various ready made profiles for various games dotted around your favorite forums including XDA and more. So there you have it, wasn’t hard at all and makes your games more enjoyable especially tablet owners. You can even use the ps3 controller with OnLive, so you can play console quality games from the discomfort of the bus. Amazing Alex now available. Rovio’s next big thing? New Indie Gala Bundle out, brings Android games! 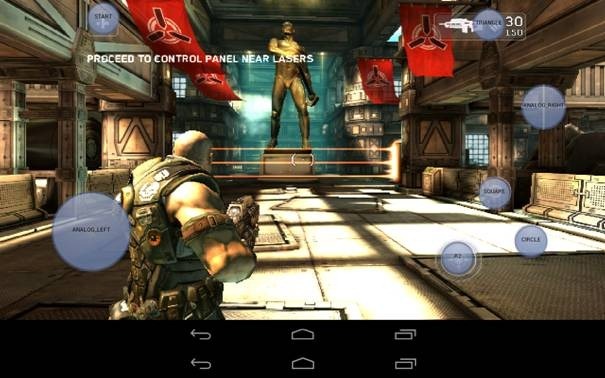 Some games (such as Shadowgun) support native gamepads, so no need to create a touch profile. Just check ‘Preferences->Gamepad Settings->Enable Gamepad’ and you’re good to go.